EverScent Wick - your choice of scent, same EverScent no mess system! EverScent® wicks fit perfectly into your EverScent® Twist Dispenser and it has a special no mess barrier at the end so the scent STOPS before getting on your hand allowing you to use it without getting stunk up! 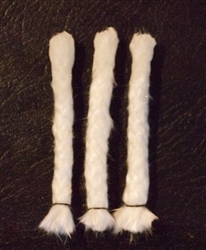 Our wicks quickly absorb scent and liquid so you can use your choice of scent. The unique band on the end of the wick stops the endless fraying that seems to happen with many other wicks. If it is a wick from EverScent®, it is going to be clean and easy!